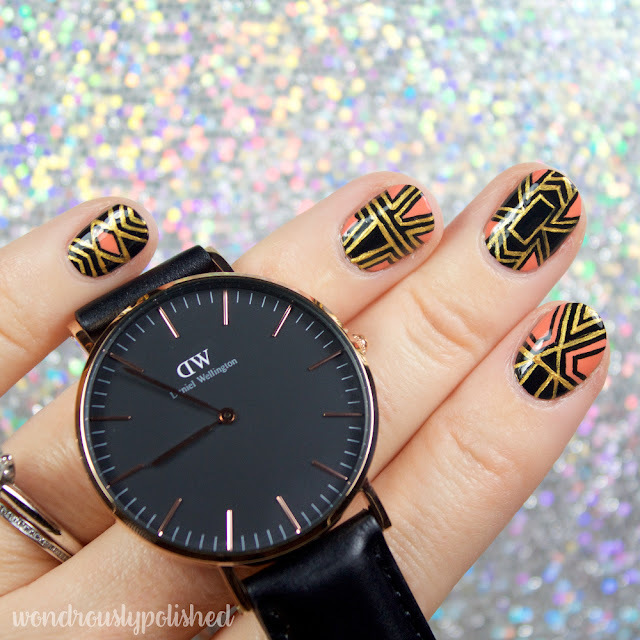 Today I've got a nail art look inspired by one of my favorite watch companies, Daniel Wellington! I have worked with them a few times in the past and I wear their watches almost daily. 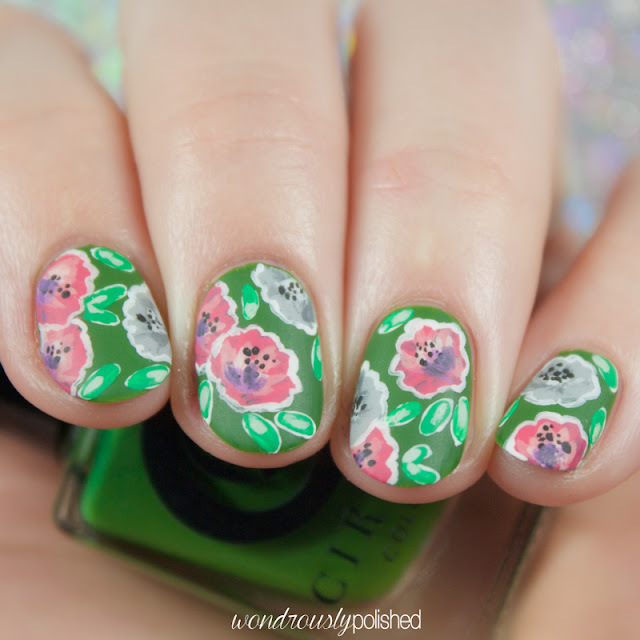 I love how classy and pulled together I feel when I wear them. They have become my go-to "jewelry"...if a watch can be that. The latest one I have to share is from their new collection, Classic Black. The defining feature of the collection is a black watch face paired with various DW band styles. I chose the Classic Black Sheffield as I loved the sleek pairing of black on black. 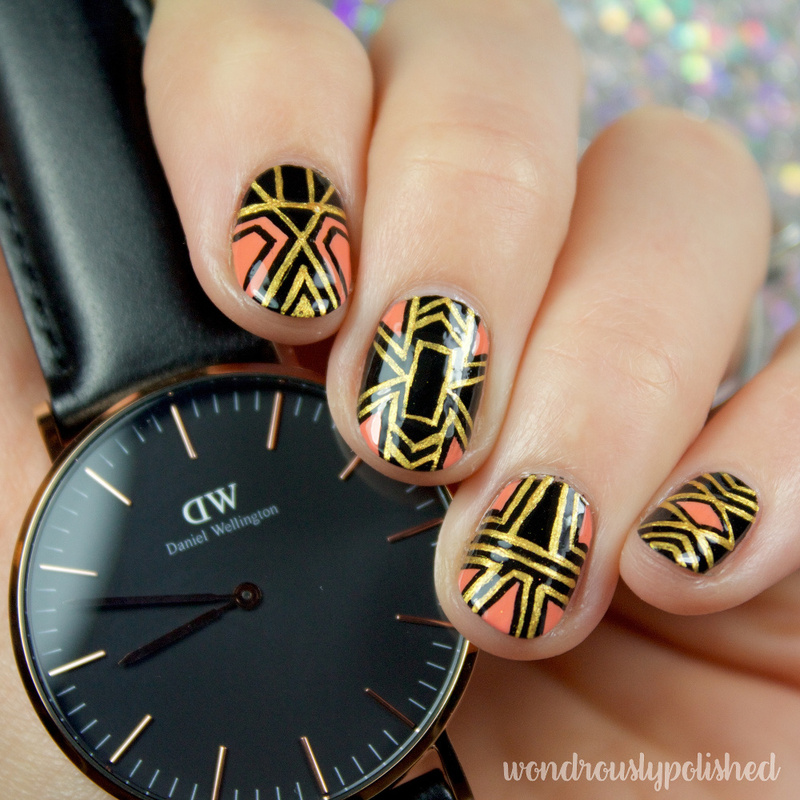 The touch of rose gold in the hands and numbers warm the look up and I love it.